Home » Arts & Culture » Magical Nathaniel Magic Show! 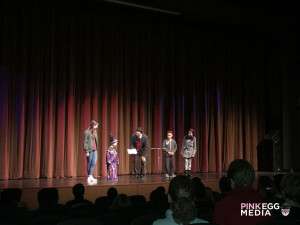 I didn’t know what to expect when I went to see Magical Nathaniel Magic Show! at El Cerrito High School. In his early 20’s, he’s already been performing for about 9 years. He became interested in magic at the tender age of 3. I already admired this performer without seeing the show, due to the fact that not many of us get to follow the dreams we had as teenagers, let alone those at age 3. 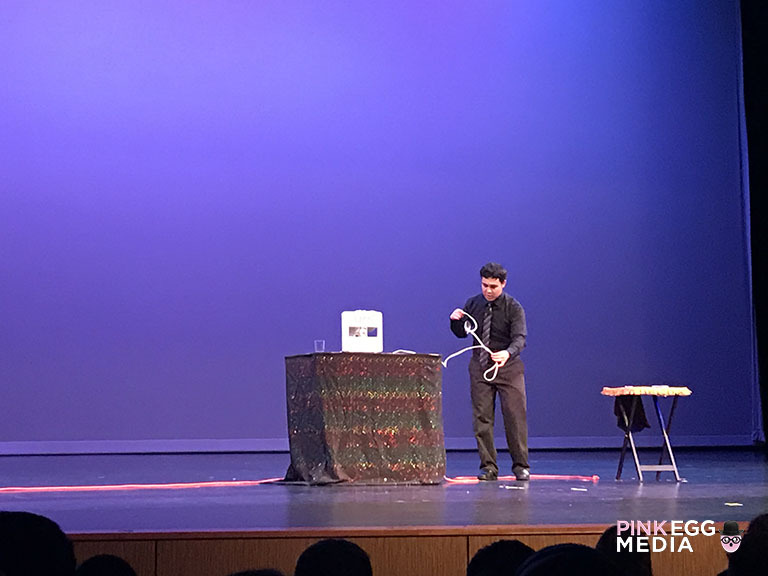 A recent graduate from UC Berkeley with a degree in applied mathematics and a minor in theatre and already an award-winning magician, this had to be good. The show included a lot of interaction with the audience especially, the younger members who literally jumped up and down to get chosen to go up on stage. Magical Nathaniel has a natural chemistry with kids that made them react to him as if he were their best friend. One of them got worried that Magical Nathaniel would get hurt because he was doing a “dangerous trick” that involved balancing himself on a piece of wood on top of two chairs, while blindfolded, and solving a Rubik’s cube. 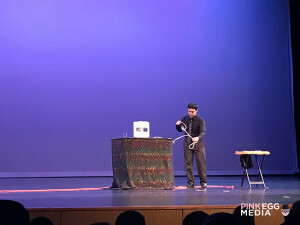 The interaction was a little distracting from the trick but he handled the heartwarming moment with acknowledgement and patience as he continued with the performance. There were a lot of classic acts that any inspired kid’s parents could pick up from a magic store. The infamous rope trick that makes it go from one big one to three little ones, and the needle through a balloon. He did add an additional twist to each trick, making it his own. In addition to his natural charm with the little ones, his act is also enticing enough to leave the adult crowd in awe. It’s a family show that can please the whole family. One adult comment overheard, “No, it can’t be” was amusing to hear. He had several “I bet I can guess which one you chose” illusions but, the most interesting to me was one involving a soda can. He took a crushed can on stage and returned it back to its normal state. 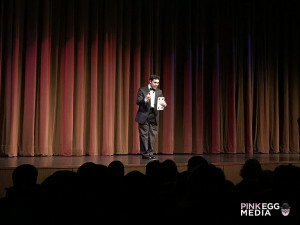 He then opened it and gave a cup to an audience member to drink to confirm that it was cold. You can currently book him for kid parties, events, and shows.